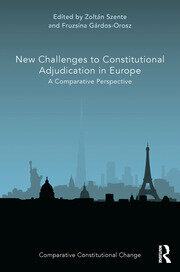 Comparative Constitutional Change has developed into a distinct field of constitutional law. 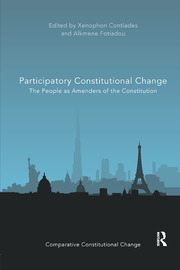 It encompasses the study of constitutions through the way they change and covers a wide scope of topics and methodologies. 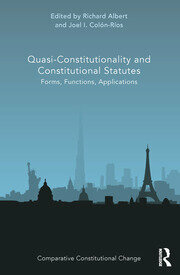 Books in this series include work on developments in the functions of the constitution, the organization of powers and the protection of rights, as well as research that focuses on formal amendment rules and the relation between constituent and constituted power. 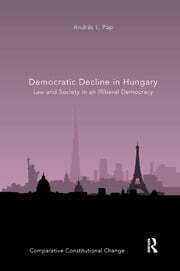 The series includes comparative approaches along with books that focus on single jurisdictions, and brings together research monographs and edited collections which allow the expression of different schools of thought. While the focus is primarily on law, where relevant the series may also include political science, historical, philosophical and empirical approaches that explore constitutional change.